BBT SE CEO Dr. Ing. Raffaele Zurlo has officially handed over the new areas for the disposal of recyclable materials to the mayor of Naz-Sciaves, Dr. Ing. Alexander Überbacher. 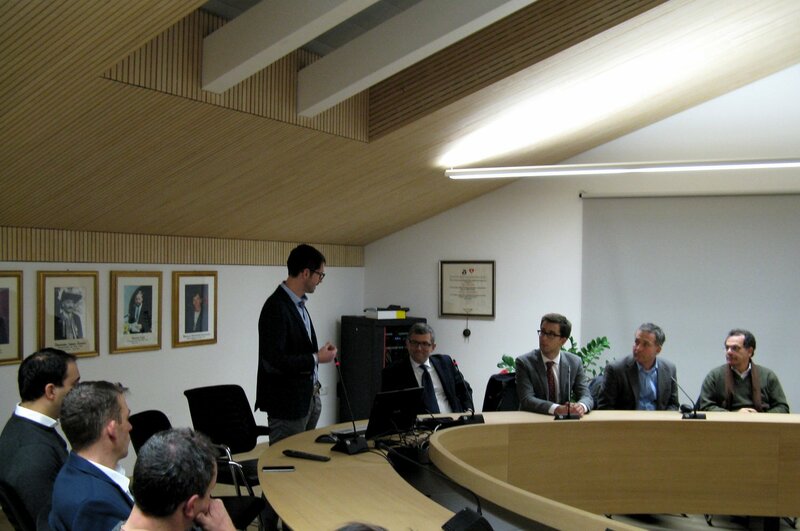 Members of the local government and the council, as well as representatives of the local service provider ASM Bressanone and the construction company Passler Tiefbau, participated at the ceremony. 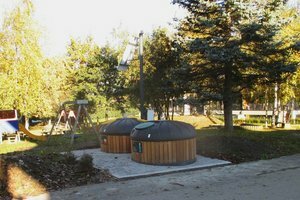 Fourteen new recycling facilities were installed on the territory of Naz-Sciaves, each of them composed of several partly underground containers with 5 m3 capacity. 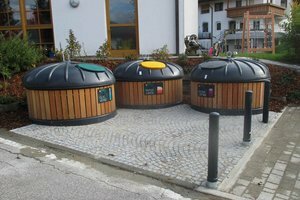 The new recycling areas, designed by ASM Bressanone in cooperation with the local administration and built by the construction company Passler Tiefbau from Millan-Bressanone, enable a more accessible and efficient disposal of recyclable materials. Furthermore, the increased capacity of the new containers for paper, glass and cans reduces the number of trips necessary to empty them. 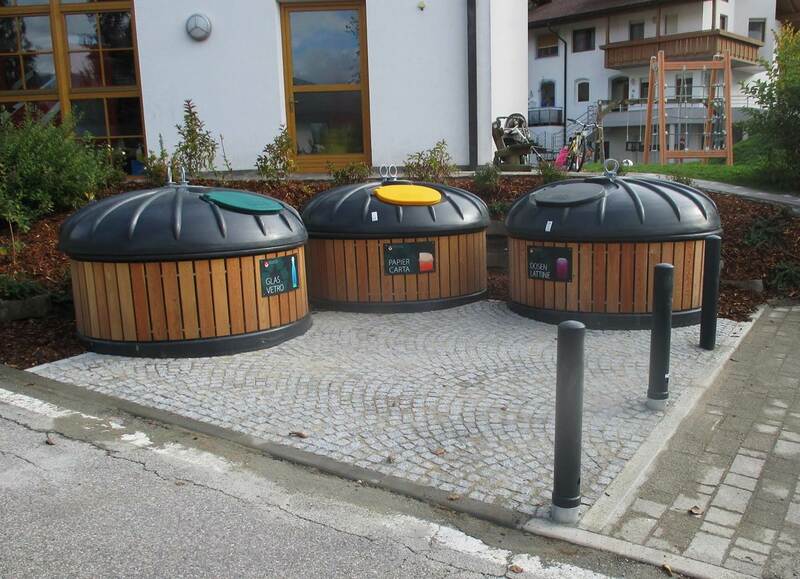 The recycling facilities are part of the so called „environmental compensation measures” within the Brenner Base Tunnel project. The cost of this specific measure was approx. 318.000 Euro. 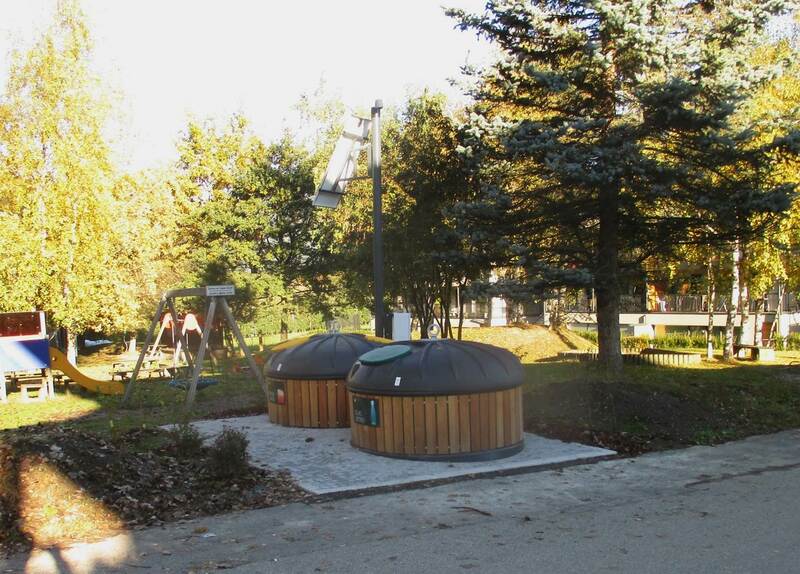 Examples for further compensation measures, planned or already in execution in the region, are works for noise reduction along the existing railroad, restoring of natural fluvial environments, water supply lines or village enhancement.